This lovely detached bungalow in much sought after cul de sac location in a none estate location, really must be viewed to appreciate the accommodation on offer. Through the front door into the entrance lobby, you will find doors into the living accommodation. There is a shower room to the right, with window to side, heated towel rail and is fully tiled. The lounge diner is spacious, with bay window to front, three windows to side and a gas fueled log burner with feature surround making it perfect for cosy nights in. The dining area has ample room for a table and chairs for family meals and entertaining. The kitchen is fitted with ample wall, base and drawer units, a sink drainer with mixer tap, integrated electric oven and gas hob with extractor over, plumbing for a washing machine and space for a fridge and freezer. 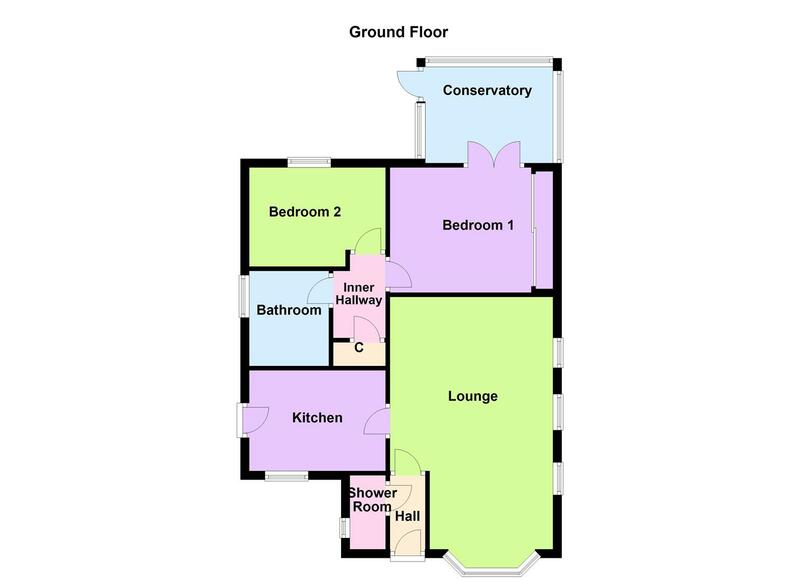 The inner lobby gives access to the bathroom and bedrooms and has storage cupboard and access to the loft. The bathroom has a low level wc, wash hand basin and panelled bath with shower over and obscure glazed window to the side. Bedroom Two is a double with window overlooking the rear garden and is fitted with built in drawers, cupboards and wardrobes. The Master Bedroom is also a double and fitted with full width mirrored wardrobes and has French doors opening in to the Conservatory, a lovely place for relaxing with views over the garden. Externally to the front is a driveway providing off road parking and access to the detached single garage and also the adjoining carport. There is gated access to the rear the garden which is private and enclosed, being planted with various fruit trees and shrubs by the current owner.